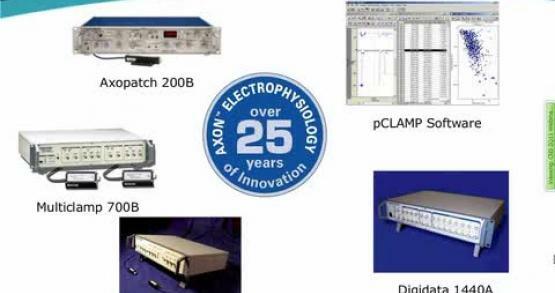 The Axon Instruments® series of amplifiers provide best-in-class solutions for the entire range of patch-clamp experiments. 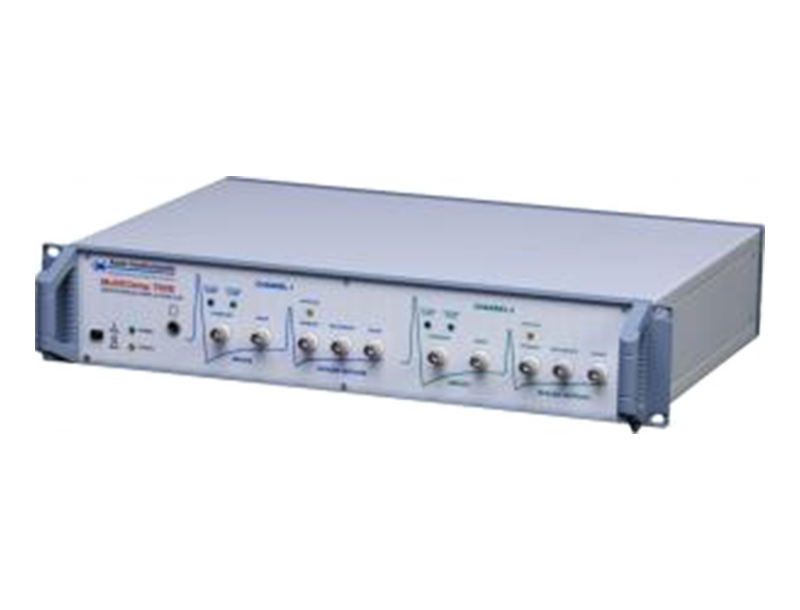 The portfolio of amplifiers includes Axopatch™ 200B for ultra low-noise single-channel recordings, MultiClamp™ 700B for whole-cell voltage-clamp and high-speed current-clamp recordings, and Axoclamp™ 900A for two-electrode voltage-clamp and current-clamp recordings. The Axopatch 200B Capacitor Feedback Patch Clamp Amplifier offers one of the lowest-noise single-channel recordings available via innovative capacitor-feedback technology. The MultiClamp 700B Microelectrode Amplifier enables whole-cell voltage-clamp and current-clamp recordings. It is the most versatile amplifier in the portfolio. Large output compliance range of our Axoclamp 900A Microelectrode Amplifier facilitates the measurement of large and rapid voltage-clamp and current-clamp recordings. The Axopatch 200B amplifier features proprietary technology that provides active headstage cooling that reduces electrical noise close to the theoretical limits of physics. 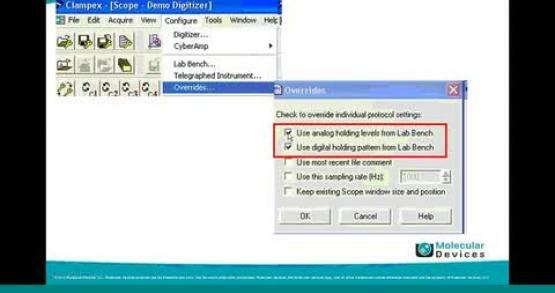 The MultiClamp 700B and Axoclamp 900A amplifiers offer software control. 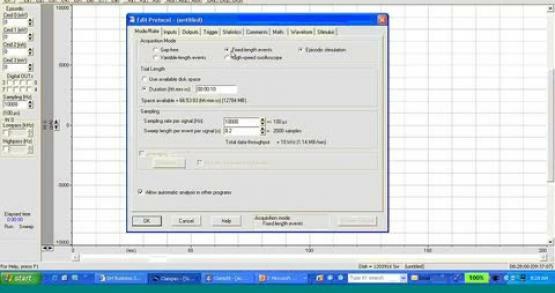 Software control streamlines setup, and enables automation of parameters, telegraphing, and advanced protocols. The MultiClamp 700B supports up to two primary CV-7B headstages and two optional auxiliary headstages (HS-2 or VG-2 type) enabling multi-channel recording for cellular network studies. The Axoclamp 900A amplifier supports the measurement of larger currents and ensures faster clamp speed (±180 V in TEVC and HVIC modes). The Axoclamp 900A amplifier offers 5 modes of operation: current clamp, discontinuous current clamp, two-electrode voltage clamp, discontinuous single-electrode voltage clamp, high-voltage current clamp. 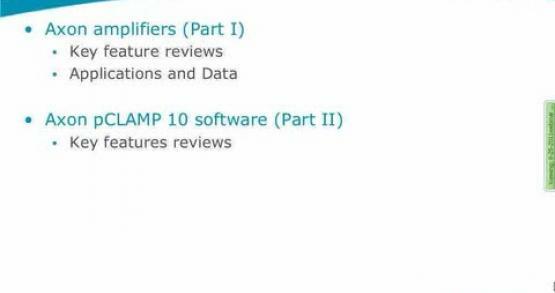 The family of amplifiers integrates with most data acquisition programs. 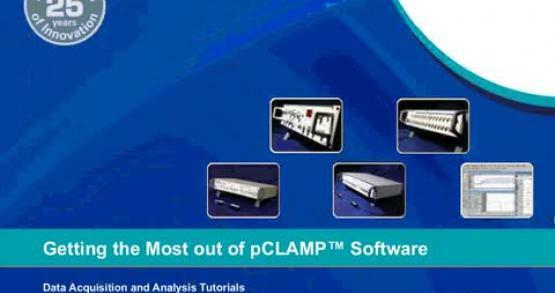 The pCLAMP™ 11 Software and DigiData® 1550B system for data acquisition and analysis provide optimal performance. 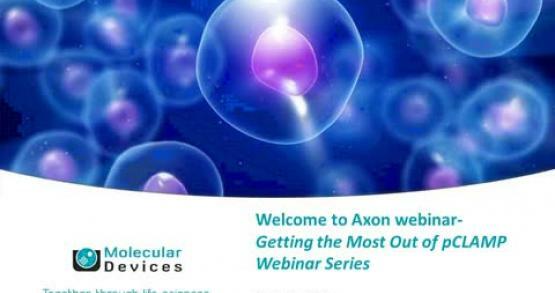 Get details about Axon Digidata 1550B Low-Noise Data Acquisition System plus HumSilencer. The patch-clamp technique involves a glass micropipette forming a tight gigaohm seal with the cell membrane. The micropipette contains a wire bathed in an electrolytic solution to conduct ions. To measure single ion channels, a “patch” of membrane is pulled away from the cell after forming a gigaohm seal. 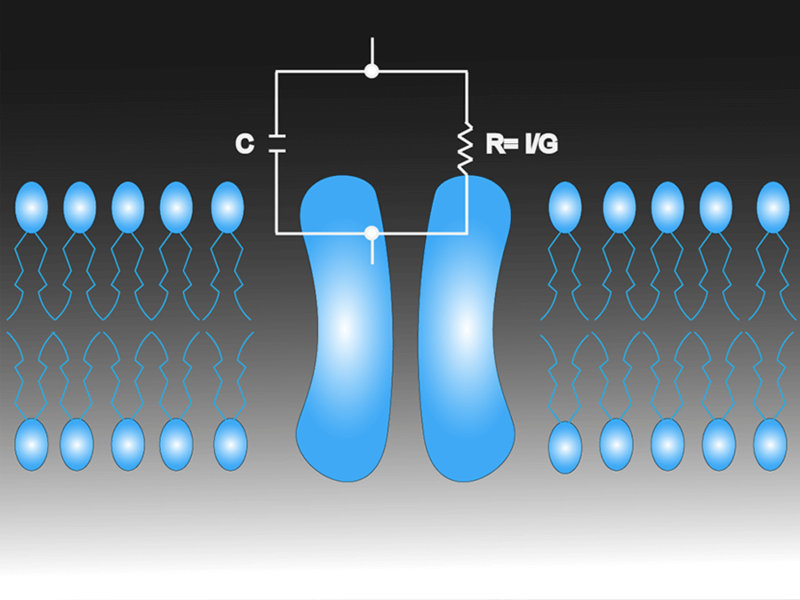 If a single ion channel is within the patch, currents can be measured. 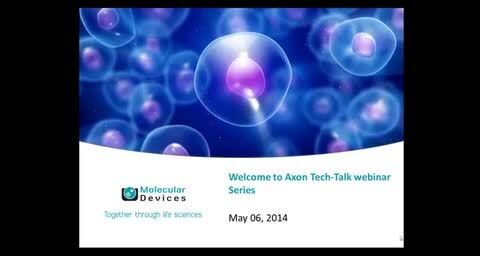 The Axopatch 200B, with extremely low-noise profile, is ideal for this application, maximizing signal for the smallest conductance ion channels. 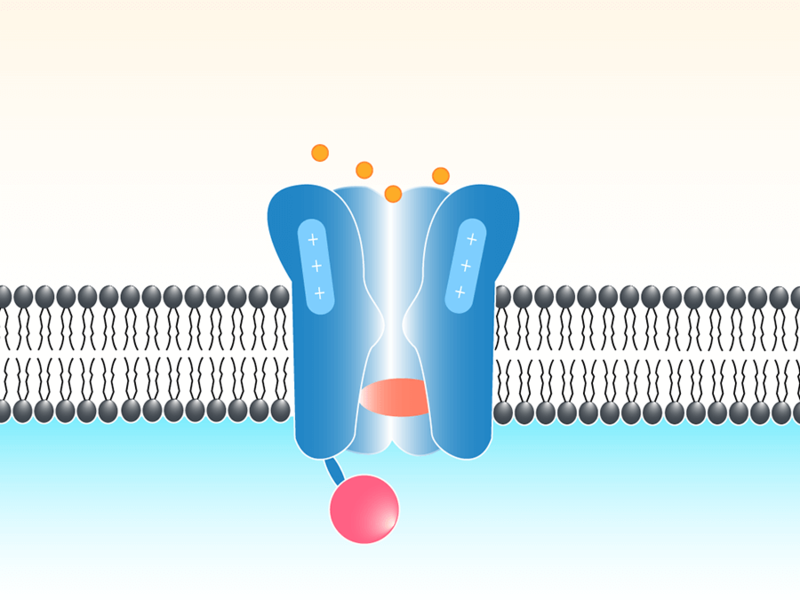 An ion channel is a group of proteins that form a pore across the lipid bilayer of a cell. 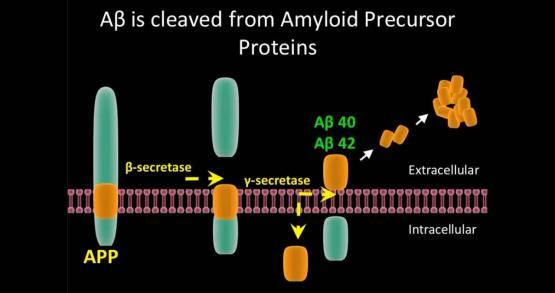 Each channel is permeable to a specific ion (examples: potassium, sodium, calcium, chloride). 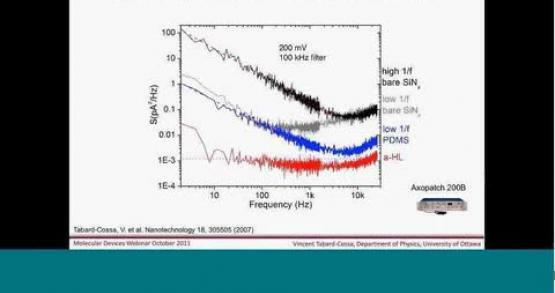 Patch-clamp is used to evaluate current or voltage in the membrane associated with ion channel activity via direct measurement in real time using ultra-sensitive amplifiers, high-quality data acquisition systems, and powerful software to evaluate the results. The patch-clamp technique involves a glass micropipette forming a tight gigaohm (GΩ) seal with the cell membrane. The micropipette contains a wire bathed in an electrolytic solution to conduct ions. 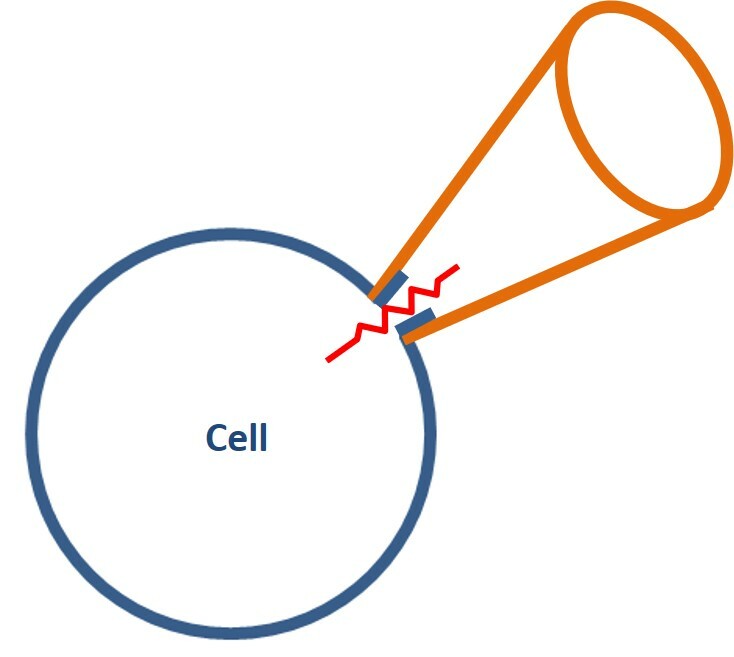 The whole-cell technique involves rupturing a patch of membrane with mild suction to provide low-resistance electrical access, allowing control of transmembrane voltage. 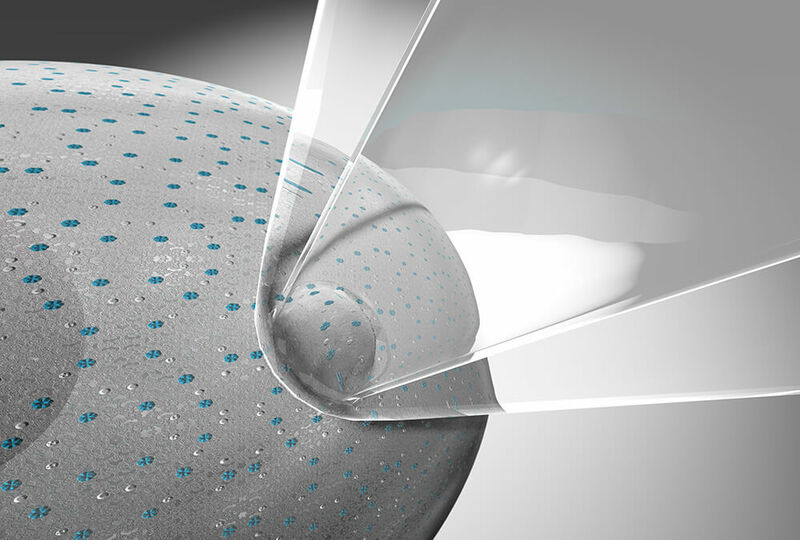 Alternatively, investigators can pull a patch of membrane away from the cell and evaluate currents through single channels via the inside-out or outside-out patch-clamp technique. 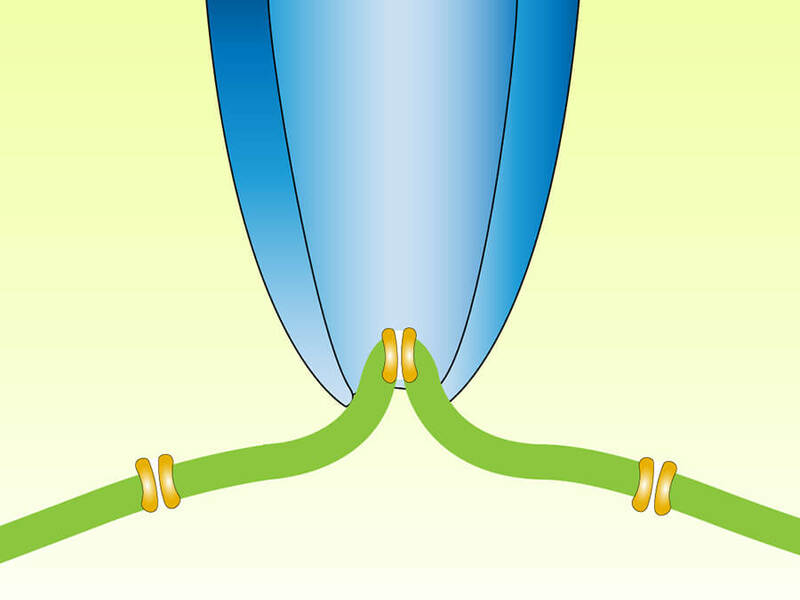 The whole cell patch-clamp technique involves a glass micropipette forming a tight gigaohm (GΩ) seal with the cell membrane. This micropipette contains a wire bathed in an electrolytic solution to conduct ions. A patch of membrane is subsequently ruptured by mild suction so that the glass micropipette provides a low-resistance access to the whole cell, thereby allowing the investigator to control the transmembrane voltage and allowing the investigator to evaluate the sum of all currents through membrane bound ion channels. Series resistance is the sum of all resistances between the amplifier and the inside of the cell using the whole-cell recording method. 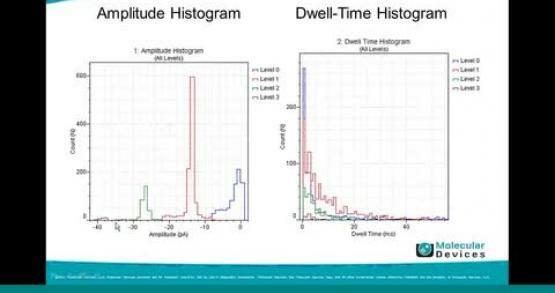 Due to Ohms Law, the larger this resistance, the greater the difference between the command level and the measured values. 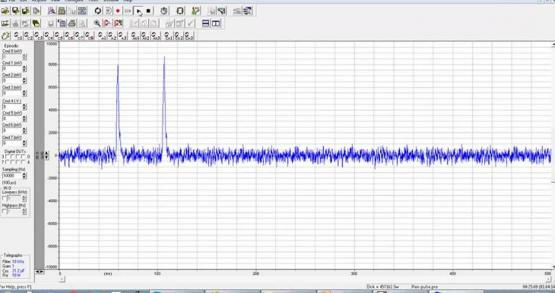 This creates an error in actual voltage or current measurement potentially leading to inaccurate observations. To overcome this, the Molecular Devices amplifiers have built-in circuitry to improve the bandwidth of the recording by compensating the error introduced by the voltage or current drop across the series resistance. 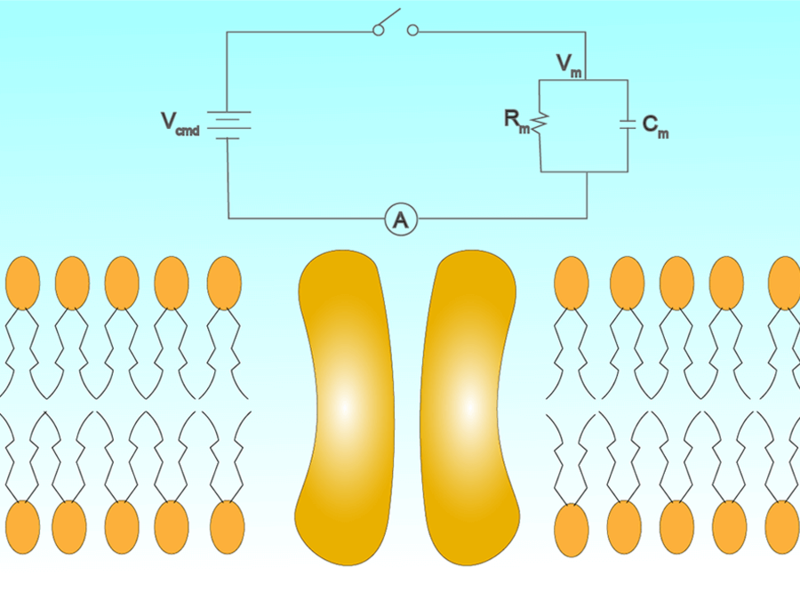 In an experiment using the voltage-clamp method, the investigator controls the membrane voltage in a cell and measures the transmembrane current required to maintain that voltage. This voltage control is called a command voltage. To maintain this command voltage level, an amplifier must inject current. 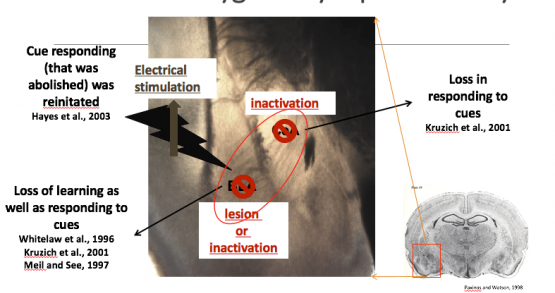 The current injected will be equal and opposite the current escaping through open ion channels, allowing the amplifier to measure the amount of current passing through open membrane bound ion channels. Current-clamp is a method used to measure the resulting membrane potential (voltage) from an injection of current. 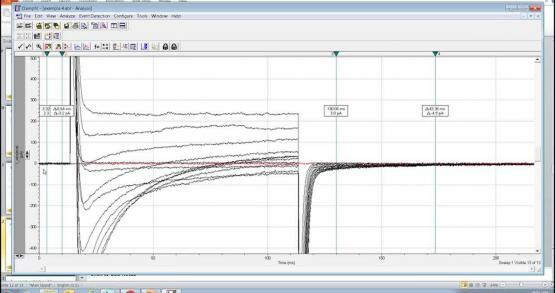 To measure the membrane potential, the MultiClamp 700B and Axoclamp 900A both monitor voltage drop initiated by current injection along an in-series resistor. 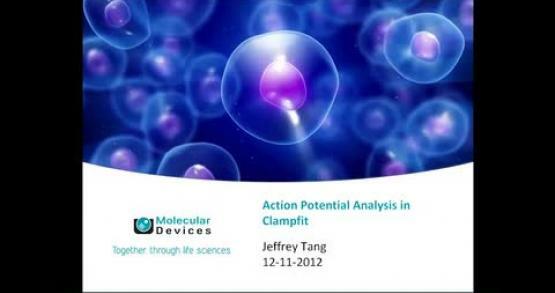 Current-clamp is commonly used to inject simulated, but realistic current waveforms into a cell, and monitor membrane effect. 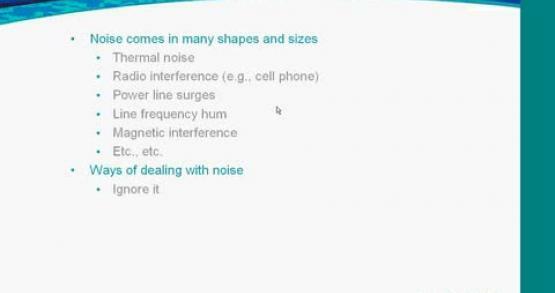 This technique is ideal for the evaluation of important cellular events such as action potentials. Download datasheet to learn about Axon Axopatch 200B Microelectrode Amplifier which includes cooling of the active elements to achieve the lowest possible electrical noise. 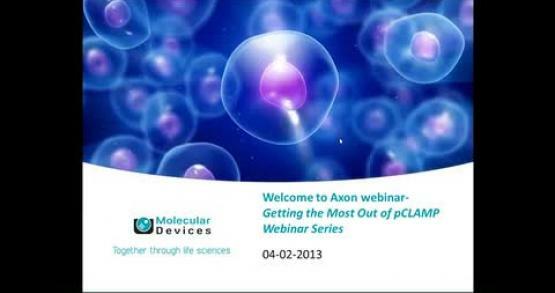 Learn about MultiClamp 700B Amplifier for electrophysiology and electrochemistry which is capable of single-channel & whole-cell voltage patch clamp, and much more. This guide provides information about the Patch-Clamp Rig. 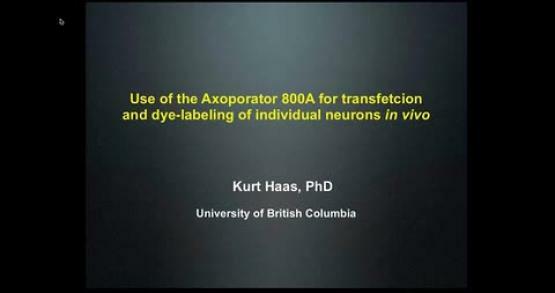 It is an important e electrophysiology technique with a broad range of applications.